Is it Legal to Make a U-turn? Contrary to what some may think, it is legal to make a U-turn unless a sign specifically prohibits such turns. When making a U-turn, be sure to do so only when traffic is clear, and where oncoming traffic can clearly see you to avoid a car accident. Making a U-turn on a curve or a hill is dangerous because oncoming traffic may be unable to see you due to the crest of the hill or the curve. Washington law requires U-turning vehicles to be visible from 500 feet away by other vehicles in either direction. As always, other “rules of the road” continue to apply, so be sure to yield the right of way, obey traffic signs and markings, and watch for pedestrians and cyclists. The following is the Washington Rules of the Road regarding U-turns. The driver of any vehicle shall not turn such vehicle so as to proceed in the opposite direction unless such movement can be made in safety and without interfering with other traffic. No vehicle shall be turned so as to proceed in the opposite direction upon any curve, or upon the approach to or near the crest of a grade, where such vehicle cannot be seen by the driver of any other vehicle approaching from either direction within five hundred feet. 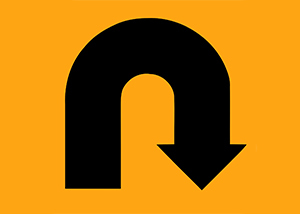 Unanticipated or unsafe U-turns can quickly lead to a car accident. If you’ve been injured in a car accident, contact the experienced and professional personal injury attorneys at Parke Gordon Law Firm in Spokane to handle your case. Our attorneys will act quickly and fight aggressively for the most compensation from your car accident case. Don’t hesitate to talk with an attorney about your car accident. Call the Spokane personal injury law office of Parke Gordon Law Firm today for a free case review. This is your opportunity to discuss your car accident with an experienced and knowledgeable attorney. Call our law office now at (509) 482-7274.